The short review would be “what a brilliant book”. I had tinkered with Node.js before but in a bit of an unstructured fashion. Reading the table of contents had me impressed then seeing the price for the Kindle version confirmed the deal. There is a lot of information here for very little money, around £7.50. We then move onto using Node for a command line app and then communicating over HTTP. With the slid foundations set the third section introduces some modules that will help us build actual websites. The fourth section enhances the web apps ideas by introducing different databases, not just by name but by structure. Including MySQL and NoSQL such as MongoDB. The final section shows how we can really use the code once use everywhere philosophy by allowing JS written for Node to also be executed in the browser. Then finally a chapter on testing to ensure our apps will behave as expected. The book introduces the code in easy to understand segments and then often refactors this further into the chapter. This gave the examples a “real world” feel and helped show some best practices and why they should be used in that way. There are also some nice interactions with other APIs such as the classic example of Twitter as well as Grooveshark. If you are interested in getting started with Node.js or have just begun your learning and are seeking a more structured learning format I highly recommend Smashing Node.js. Designing For Emotion by Aarron Walter and published by A Book Apart was a great read with some compelling case studies and examples and on how and when to use emotional design elements. All release by A Book Apart and short, sharp and too the point. This release is no exception and once I began reading I was hooked and finished it off within a couple of days. The writing style is enjoyable and educational with a sprinkle of dry wit where appropriate. Probably my favourite section was on Design Personas and they are something I will be implementing on some upcoming projects in the New Year. 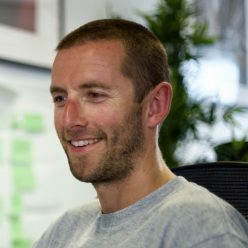 Aaarron also provides a great download form his own website containing a template for a design persona as well as the completed version from his work on the great MailChimp application. My only complaint is that the book focuses on the fun elements of emotional design, such as MailChimp’s mascot. Whilst Aarron does take the time to point out that you wouldn’t use this fun style design for a serious application such as online banking I would love to have read more about how the techniques can be varied for more serious applications. Overall another highly recommended book. Do web developers really take holidays? Or are our breaks from the day job just an opportunity to catch up on some reading and tinker with some side projects? We haven’t even hit Christmas Day and I’ve managed to finish off two books I’ve had on the go, this one and PHP Master: Write Cutting-Edge Code from SitePoint. On to business, I love the A Book Apart releases and this one is no different. Luke Wroblewski is always posting little nuggets of mobile statistics and tips on his website so I was very keen to read a whole book from him. There are lots of helpful little tips throughout the book but one of the main points I took away came right at the end. Luke assures us that mobile is changing at a very very fast pace and will continue to do so. As such we should not worry about being on top of all the changes as it is almost impossible. Instead focus on implementing changes and techniques where you can and accept that there will soon be something new that you could not have predicted or included. You can pick up the book in paperback, ebook or a bundle of the both from A Book Apart. SitePoint’s latest PHP book is aimed at taking your skills to the next level. Looking through the contents there was several tools and techniques I was already using but also lots of others that I would like to start using. Each of the sections provides a general good introduction with some examples and links to similar tools or further reading. The book finishes by recommending that you implement the techniques / tools over a period of time, e.g. begin using version control then in a few months use a coding standard. I thought this was a particularly good point as I can see it would be very easy to get enthusiastic and try and implement version control, coding standards, documentation, profiling etc straight away. My only slight annoyance with the book is that it is very heavily *nix orientated where as my current role involves a Windows network and as such I mainly work on Windows. But this is a very small detail and I’m well aware that I’m actually in the minority and the extra effort involved in creating Windows examples would be ridiculously time consuming and make the book unecessaraly long, and bump the price up. This is another book I’d highly recommend and I’m sure there are a lot of developers who can benefit from a well structured book on writing cutting edge code. I’ve just finished reading Responsive Web Design by Ethan Marcotte and really enjoyed it. The book is published by A Book Apart who specialise in “the emerging and essential topics in web design and development with style, clarity, and, above all, brevity”. I really enjoyed the flexible grids chapter and found the equation target / context = result formula very useful for calculating fluid width. The book serves as an excellent introduction to the theories and some code best practices to start using responsive web design. Reading it on iBooks there are some videos of the effects in action which helps bring the examples to life. Overall I’d highly recommend the book and to keep an eye on other releases from A Book Apart.